Triumph at Valhalla now selling from $217,990! Edilcan Development Corporation has developed many different projects across the Greater Toronto Area since the 1950's from building commercial properties to industrial to luxury residential buildings. To date, they have built hundreds of buildings and over 10,000 homes. 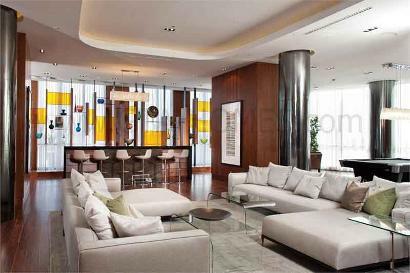 Edilcan has also been responsible for the "construction of numerous other landmark condominiums". Some of which are Canyon Springs and Granite Gates in Mississauga, The Residences of Madison Centre and Hollywood Plaza in North York, Manhattan Place and Marina Del Ray on the Etobicoke waterfront. One Valhalla Towns and Condos - A new condominium and townhouse development that was completed in 2012 and is sold out located at 1 Valhalla Inn Road in Toronto, Ontario with 22 storeys and 213 units designed by Page + Steele / IBI Group Architects. Thunderbird - A new condominium development that was completed in 2014 and is sold out located at The East Mall and Vahalla Inn Road in Toronto, Ontario with 35 storeys and 336 units designed by Page + Steele / IBI Group Architects. Encore at the Met- A new condominium development that was completed in 2008 and is sold out located at 25 Carlton Street in Toronto, Ontario with 33 storeys and 295 units. Grandby Street Maisonettes -A townhouse development that was completed in 2008 with 4 storeys located on 23 Carlton Street by Grandby Street in Toronto, Ontario. Manaco - A condominium development that was completed in 2003 with 14 storeys located at 28 Byng Avenue in Toronto, Ontario. Elev'n21 - A condominium development in conjunction with Cityzen Development that was completed in 2003 located at 1121 Bay Street in Toronto, Ontario. It is a 21 storey glassy tower with 156 units. Units range in size from 475 square feet to 1,700 square feet. The exterior is classic and elegant, featuring terraces and balconies as part of its modern design. Signatures On Bloor - A condominium development that was completed in 1999 located at 55 Bloor Street East by Yonge and Bloor in Toronto, Ontario with 19 storeys and 134 units. Unit size range from 379 square feet to 1,060 square feet. 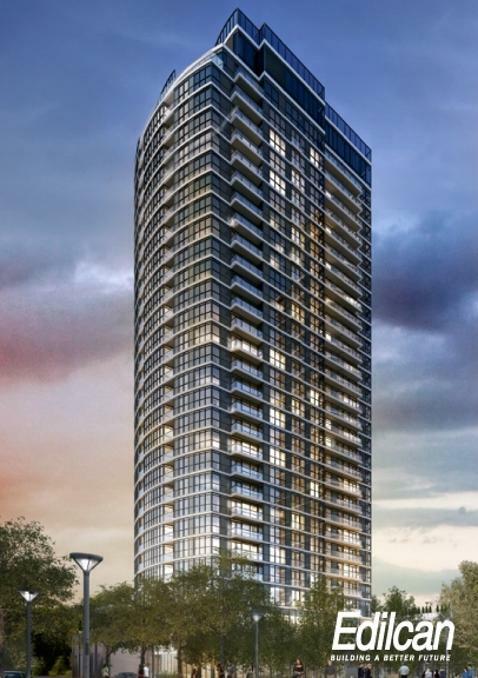 To add to Edilcan's portfolio is the Triumph Condos which is currently under construction and is now selling located at The East Mall and Vahalla Inn Road in Etobicoke, Ontario with a proposed 29 storeys and 298 units. 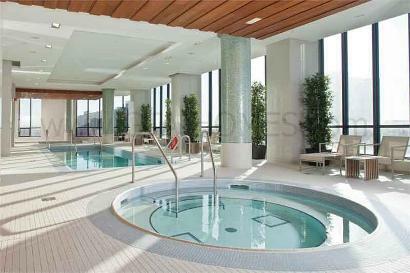 Unit size range from 536 square feet to 1,237 square feet with prices starting from $217,990 which includes parking. Estimated completion date is October of 2016. 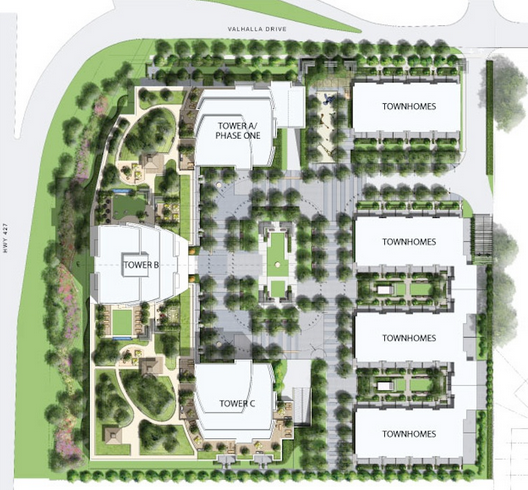 Triumph at Valhalla Condos is designed by Page + Steele / IBI Group Architects. Register with us today for your VIP Platinum Access to the Triumph Condos by Edilcan Development Corporation! Register today for your VIP Platinum Access!